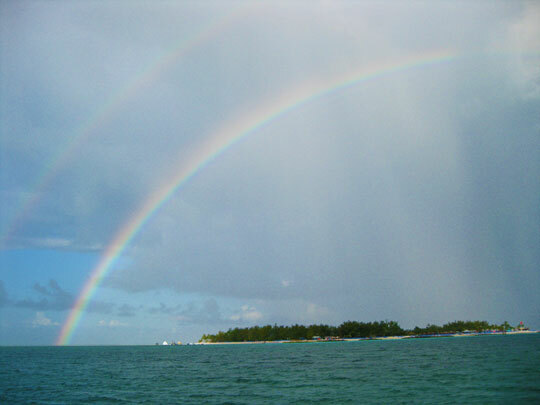 Rainbow over Little Stirrup Cay. We rested up on the 28th. On Leap Day we sailed down to Soldier Cay to anchor and explore. We should have winds from the southeast for the next few days. Leaving from Soldier Cay will shorten the distance to Abaco and give us a better angle on the wind. Sails were up by 7am on March first for our 70 mile crossing to Abaco. Our plan worked well for the first leg of the trip. We were able to sail on a single tack in 10-15 knots of wind, making the southern point of Great Abaco before 1pm. Our chartbook calls this point ‘Hole in the Wall’. As you approach you can see a long rock formation jutting out from the coast. There is a hole in it, and from a mile off it looks like the eye of a giant stone needle. The wind died out in the afternoon and we were creeping northward up the coast at half speed (making about 3 knots). At 6pm we started the engine to charge the batteries, then decided to motor the rest of the way. There isn’t much civilization on this stretch of coast. When it got dark, it was dark as the inside of a boa constrictor. We arrived at the entrance to Little Harbor around 11pm. Our chartbook showed a flashing light, but the light was on holiday. The right side of the entrance has a half mile string of rocks. The left side has a shorter string. The sound of waves breaking breaking tells you where the rocks are (hopefully). We decided to trust the GPS to guide us into the harbor. The rising tide pushed us through the gap so quickly we shot past our GPS waypoint. We had to throttle up pretty high to get back to it. Our anchorage was down a narrow channel that runs between shallow water and the half mile string of rocks. We tried, but without good visibility we just couldn’t get through the channel. We opted to anchor out in the center of the harbor. We had plenty of big waves to keep us company, so it was a rough night. At dawn we moved over to the the real anchorage. It’s a new record for us! Seventy miles in one day with no barfing. And we are here in the Abacos, where there is no need to make long passages for a while. 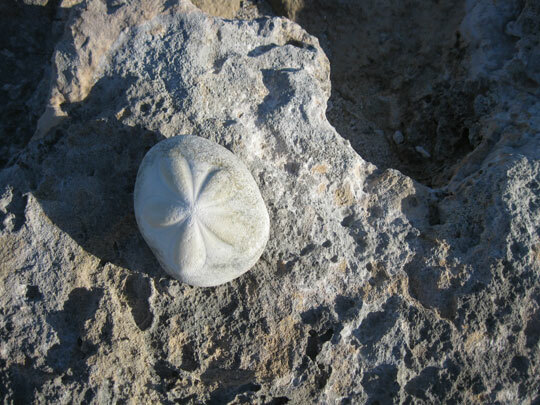 This entry was posted in Life on the Water, Passage, The Abacos, The Bahamas, The Berry Islands. Bookmark the permalink.